GOLD winner at the Nari CoTY Awards! Congrats to our ABA team for winning Gold in Residential Specialty Interior for the top floor of our Period Splendor project. This is one of our favorite little projects, so we're thrilled to see it recognized. 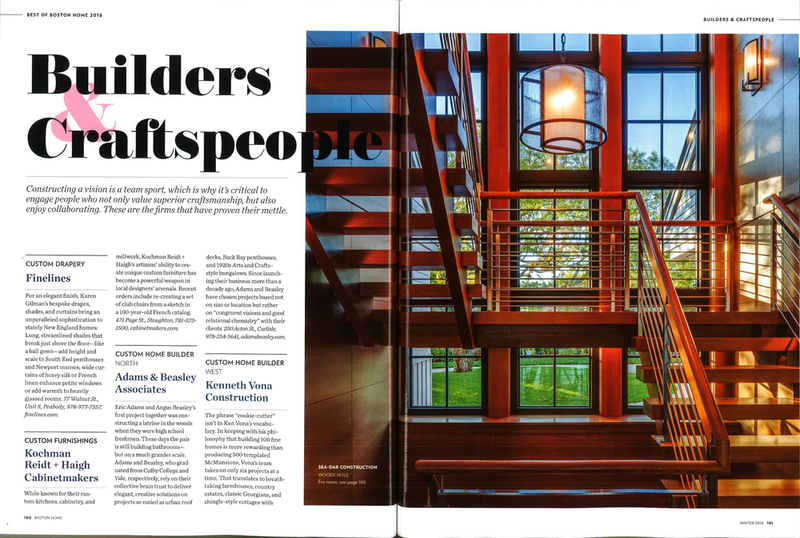 We're excited to show off the September edition of Builder + Architect Magazine! Thank you to Betty Moore for getting to know our company a little better, and thank you to all our subcontractors and collaborators for working with us. It was a great experience. Be sure to stop by Builder + Architect booth at the Architecture Boston Expo this year and pick up a copy! A HUGE congrats to our volunteer team for Canstruction this year! We brought home the blue ribbon for Best Design. This is the first year we did it and it was a fun undertaking! Thanks to the judges, and thanks to the Merrimack Valley Food Pantry. All the cans and donations go directly to them. Susie and Katrina posing in front of our CAN-Servatory with Ellen from Project Bread. #canstructionboston @canstruction_boston thanks for the video!! ABA is absolutely THRILLED to announce that we have been nominated Best of Boston Home by Boston Magazine for Best Custom Homebuilder, North. This is a HUGE honor, and we are so thankful to our colleagues, friends and clients who make this possible. Pick up a copy and see us on page 102!